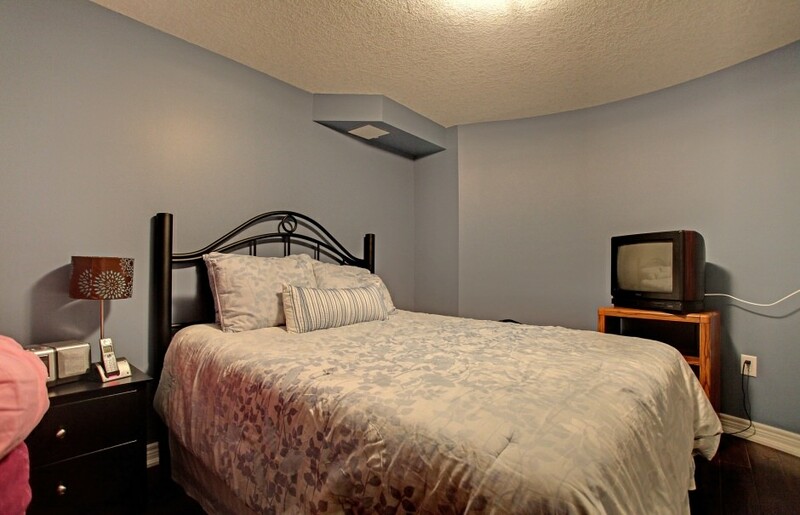 Situated on a ravine lot, this home is over 4000 square feet and is an entertainer’s delight. The backyard offers a beautiful setting against the green backdrop of the ravine. The saltwater pool is complete with waterfall and is surrounded by a stamped concrete patio. The covered porch is a great place to barbecue and lounge with friends. Also included is a hot tub. The kitchen has top of the line stainless steel appliances, granite counter-tops, generous pantry and beautiful maple cabinetry. It is open to the eat-in kitchen and family room, ideal for informal family get-togethers. The basement is flat-out sensational. It offers and exercise room, play area, bedroom, 3-piece bath and a lounge/bar area straight out of a hotel. The huge Master Bedroom has a large sitting area over-looking the ravine and spa-like ensuite complete with marble counter-tops, 2 sinks, glass shower, water closet and soaker tub. The home is well-upgraded, tastefully decorated and in superb condition.